Rub your magic lamp and make a wish with Millionaire Genie. Millionaire Genie is a stalwart in the magic realm of slot games. Random Logic’s popular slot game conjures 5 reels, 15 playlines, and a progressive jackpot where winners can come away with millions, hence the name. The game comes with a backstory; a friendly genie is summoned from his lamp and takes you on a journey to fulfil your dreams. 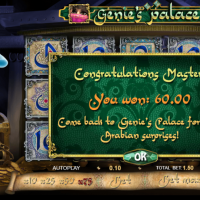 Millionaire Genie comes with Wilds, Sticky Wilds, Scatters, Bonus symbols, and The Genie’s Palace where prize multipliers can earn you that magical progressive jackpot. 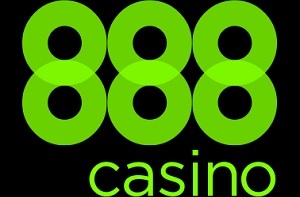 To put that magic into perspective, a previous player won himself £2.4 million on his first spin on Millionaire Genie at 888 Casino. As we mentioned, Millionaire Genie has 5 reels and 15 paylines. The Wild symbols substitute winning symbols to increase your winnings. 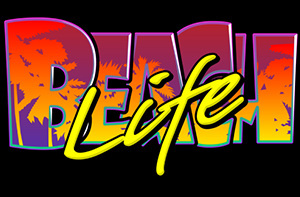 Trigger 3 or more Scatter symbols anywhere for free spins and the chance to win even more. During these free spins, extra Sticky Wilds will appear randomly adding to your chance to win the jackpot. They remain on screen until your free spins are up. 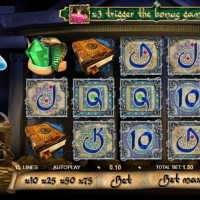 The Genie’s Palace is enacted when you trigger 3 bonus symbols anywhere on the reels 2, 3,and 4. The floating genie will grant you two wishes with prize multipliers on offer. With only 15 paylines over 5 reels, the possibilities for wins are smaller per spin but that is offset by the fantastic progressive jackpot and plenty of bonuses with free spins. Bet anything from 0.1 to 10. However, the house edge stands at a staggering 4.98%. You can automate your spins with the autoplay feature (up to 75 spins). Because of the progressive jackpot, it’s recommended to use the max bet option to increase your chance of a max payout. Classics are classics for a reason. They have a timeless charm that makes them standout amongst the crowd. Millionaire Genie falls into that category. The animations and 3D effects might be dated but the progressive jackpot and bonus games aren’t. 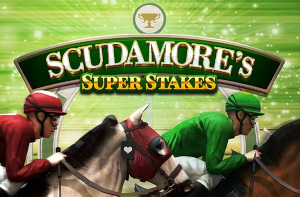 If someone can win over £2m on ONE spin, that sounds like my kind of slot game. The notable sting is the high house edge of nearly 5% but that’s to be expected when your potential winnings can rise into the millions. On the plus side, at least this genie gives you more than three wishes (if you keep wishing for wins). And, let’s face it, he looks miles better than the one from the upcoming Aladdin movie! And don’t ask the genie for infinite wishes – it won’t work!